Discover the Daytona range from Signorini & Coco. Part of their dining collection, the monogram dining table embraces the signature characteristics of the Signorini style. 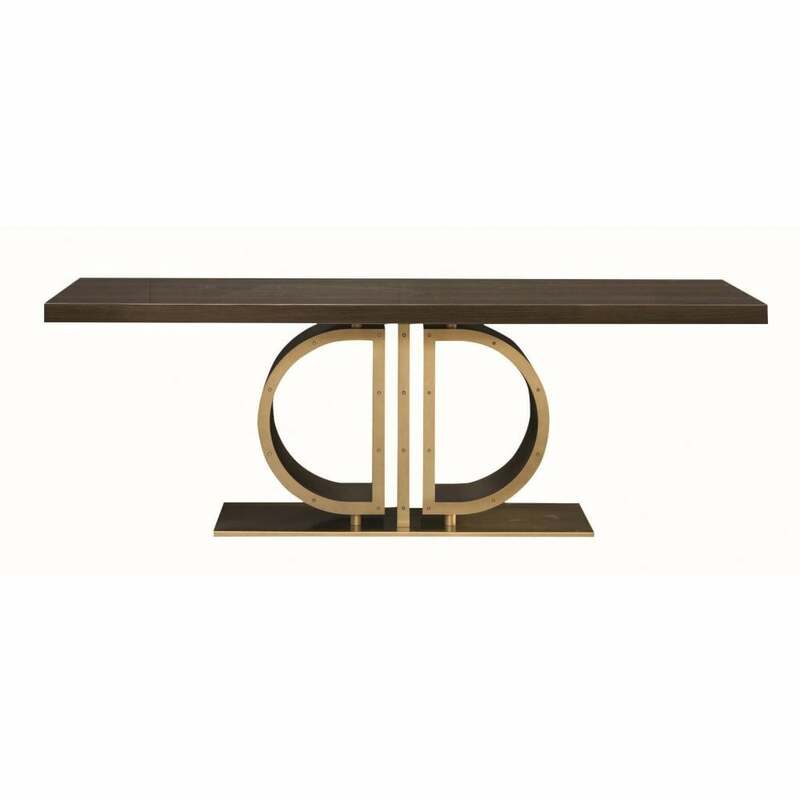 Featuring two brass plated iron ‘D’ shapes and a rectangular base, the table has a classicism that would suit both traditional and modern interiors. The strong plywood top is completed with a dark walnut veneer and brush gloss finish for a sleek look that exudes Italian glamour. Pair with the Vivien chair for a timeless dining scheme. Base is also available in a titanium metal finish. Make an enquiry for more information.